A 47-year-old international wanted man was extradited to Italy after being sentenced to 4 years and 6 months in prison for prostitution. 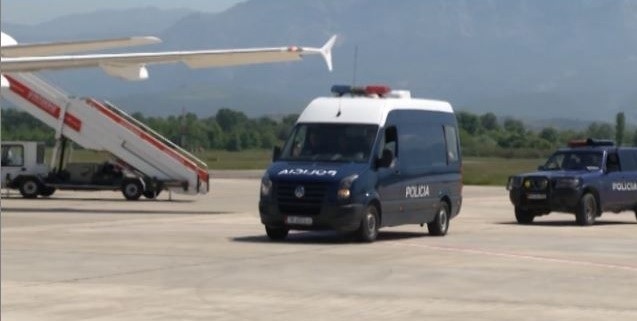 On 13 September 2018, at the SPK Rinas, at the exit, from the Interchurch ZQK Interpol Tirana, was extradited to Italy, an internationally wanted citizen, M.H., aged 47, resident in Debar, after the Court of Reggio Calabria, Italy, has sentenced him with 4 years and 6 months imprisonment for participating in a criminal organization for the purpose of exploitation of prostitution. Italian Penal Code.